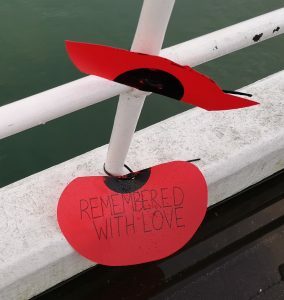 Across the country, people chose to commemorate Remembrance Day by displaying thousands of large plastic poppies across villages, towns and cities. 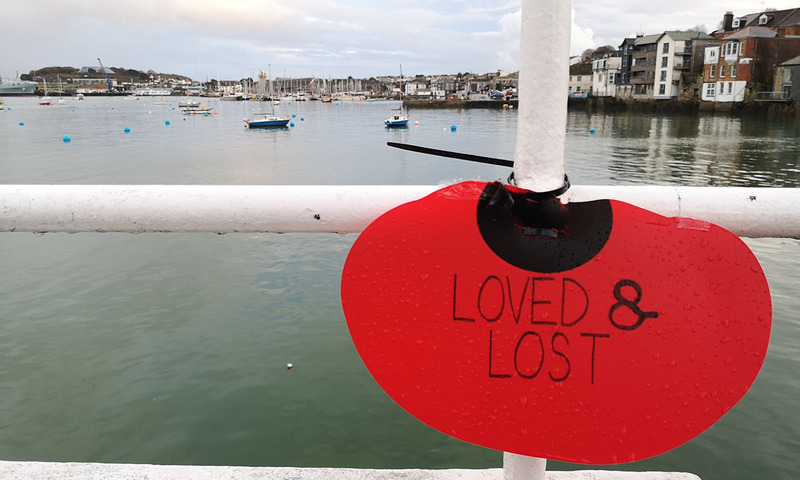 In Falmouth alone, 236 large plastic event poppies were exhibited across the popular Cornish holiday destination. Each year on November 11, Britain and other countries of the Commonwealth gather together to commemorate the day the First World War ended. This year marked the 100th anniversary of Armistice Day which meant that parades and displays were bigger than ever, and rightly so. Remembrance Day is an opportunity for the world to reflect on the monstrosities that war cause. Fallen soldiers from both world wars are remembered, as well as those lost in wars since. It is also a chance to spare a thought for those that had their entire lives uprooted, had civilisation destroyed around them and those who lost loved ones. But does the remembrance of one generation mean we should endanger the future of another? Due to the position of these poppies in Falmouth, many have broken and fallen directly in the sea which is exactly where much of this type of single-use plastic ends up eventually anyway. It is likely that the other half of this poppy has ended up in the sea. This is Wendy’s third year as the British Legion’s Falmouth-organiser, but it is no easy feat for her. 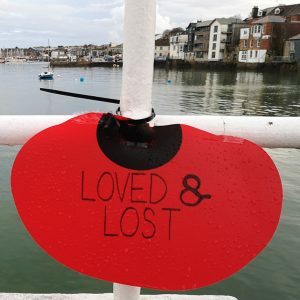 Wendy is the sole organiser and contributor for Falmouth meaning that she is in charge of the collection and arranging any form of commemoration for the event. 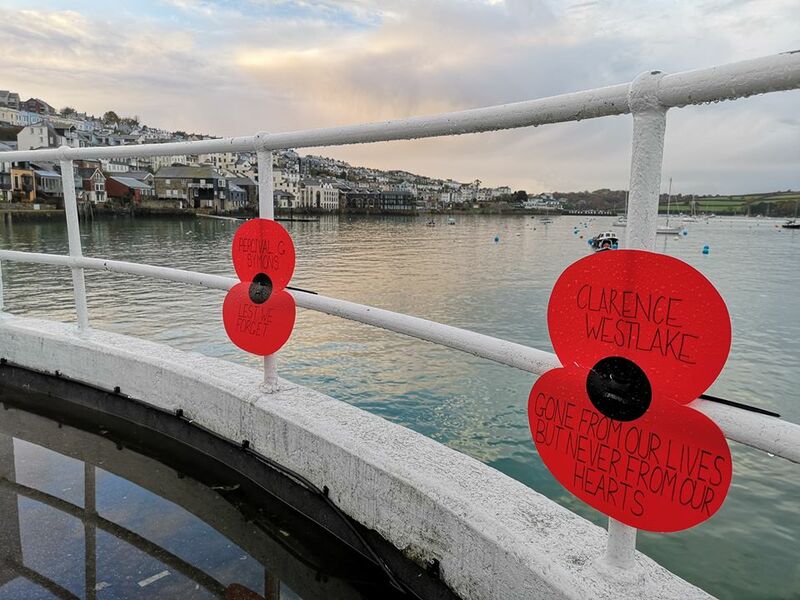 Wendy described how she received little support from the council in her efforts to remember those from Falmouth that made the greatest sacrifice for their country. But perhaps if the council had been more inclined to get involved, they could have paired up with Wendy to think up a more environmentally friendly commemoration. Mr Gate went on to say that if anyone had any ideas to help the council continue in their attempts to reduce plastic usage around Falmouth and during such events, they would be more than welcome to send in their thoughts. However, this effort to reduce plastic consumption needs to be a worldwide effort. It isn’t just Falmouth that has been decorated with Remembrance Day memorabilia. The Royal British Legion has encouraged the use of large plastic poppies across the UK. Broken poppy on the pier in Falmouth. A spokesperson for The Royal British Legion said: “Lamp post Poppies are provided by The Royal British Legion so that members can raise awareness of Remembrance in their local areas, to honour the service of the Armed Forces and support the Poppy Appeal, which raises vital funds for our work with serving men, women and their families. “The Poppies we supply are recyclable, and we also encourage local members to re-use them from year to year, or to return them to our central stores. Unfortunately, the planet has reached a point where even recyclable plastic isn’t an answer. We must stop our use of non-essential plastic altogether. Earlier this year the United Nations’ Intergovernmental Panel on Climate Change issued a warning to the world, stating that if humans do not change the way they are living in the next 12 years, irreversible damage will be done resulting in a massive loss in life through droughts, flooding and extreme heat. It is no longer acceptable to excuse the use of plastic for days of remembrance or celebration. There are so many beautiful, non-toxic, ways to honour events, such as the portraits created on beaches across England of fallen soldiers or the reusable woollen poppies knitted by the Women’s Institute. Cornwall is such a beautiful part of the world, why wouldn’t you want to do everything in your power to save it? Time is running out.